Inspired by her grandmother, an educator, Mary Beth Robinson firmly believes that there is no student that can’t be helped. She had wonderful teachers and role models growing up, and they proved that the right kind of encouragement can get students to do anything they set their minds to. Dr. Robinson wanted to be the one to provide that support to the younger generations, so she made it her mission to become the teacher that students could go to for a kind word or a push in the right direction. 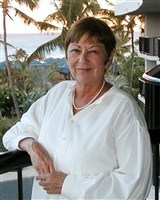 Dr. Robinson’s first job in the field was secondary teacher at the Berkeley Unified School District, followed by teaching evaluator at the School of Veterinary Medicine at The Ohio State University, lecturer and curriculum evaluator at California State Polytechnic University, federal program evaluator at a school district in Philadelphia, and teacher and coordinator in the Graduate School of Education at Stanford University. Although she liked working with college-level students, she decided her talents were best used at the high school level. After a year as a reading specialist in the East Side Union High School District, Dr. Robinson transferred to the Centinela Valley Union High School District, where she finally felt at home. She served the institution as a German, English as a second language, and American literature teacher, an instructional coach for beginning teachers, and the chair of the Department of Foreign Languages from 1987 until her retirement in 2006. The highlight of Dr. Robinson’s career was her first assignment with the Berkeley Unified School District. It was the first school to voluntarily desegregate in the state of California, and she was so proud to be part of that historic moment. It was additionally gratifying to see the children take it so well; there was no prejudice, everyone was just friends. To prepare for her endeavors, Dr. Robinson earned a Bachelor of Arts in German and economics from the University of California, Los Angeles, in 1965, a Master of Arts from Stanford University in 1974, and a PhD from The Ohio State University in 1978. She then furthered her professional standing by becoming certified in general secondary teaching at the University of California, Berkeley, and in school administration at California State University, Long Beach. Additionally, she joined prominent professional organizations like the Association for Supervision and Curriculum Development, the American Association of University Women, and the American Federation of Teachers. When Dr. Robinson has spare time, she enjoys reading, stamp collecting, football, opera, and volunteering with EMILY’S List.